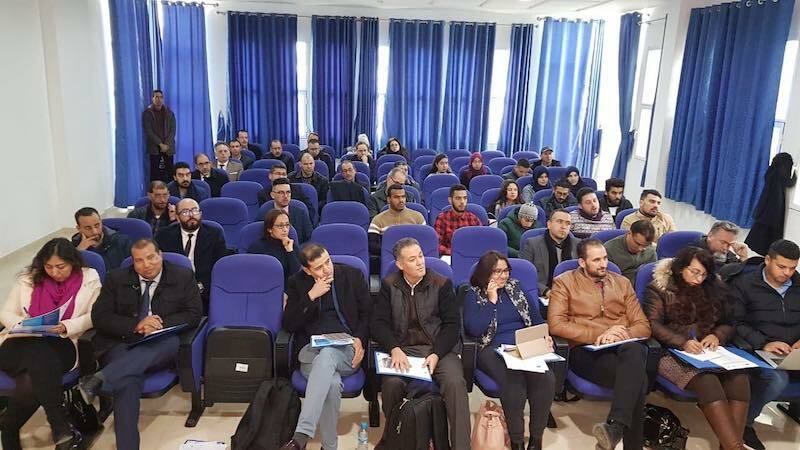 To officially launch work on establishing the EU-funded ODYSSEA project’s marine observatory at Morocco’s Al-Hoceima National Park in Morocco, ODYSSEA’s Moroccan partners, led by the Association for Integrated Management (AGIR), held a day-long workshop on January 24, 2019, at the Faculty of Technical Sciences at Al-Hoceima (FTSH), which is part of the University of Muhammad the First at Oujda. Nibani also presented the technical aspects of ODYSSEA observatories and the equipment they will feature. This includes primarily, the SEAEXPLORER sensor submarine gliders. The gliders will be used for documenting and mapping sea mammal populations, sonar ping echo, maritime traffic, health and conditions of marine habitats, human noise, and carrying out basic Environmental Protection Engineering (EPE) studies. 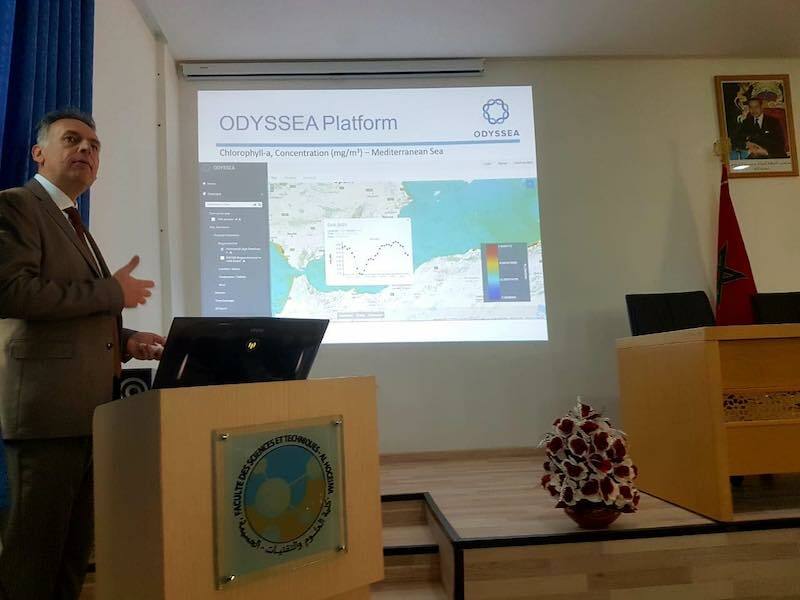 ODYSSEA project coordinator, Prof. Georgios Sylaios of the Democritus University of Thrace (DUTH- Greece), presented the project platform and its planned contribution to data collection and management. Against a backdrop of a general deficit of up-to-date information and fragmented, incompatible systems and datasets, as well as limited access and utility for end-users, who generally lack the training to handle the data and information that they manage to find, Prof. Sylaios indicated that ODYSSEA is working hard to address these shortcomings. Sylaios presented the network of observatories being established, the various environmental parameters measured and the technical methods used, as well as the benefits for end-users. “ODYSSEA’s ambition is to develop an interoperable, fully-integrated and cost-effective multiplatform network of observing and forecasting systems across the Mediterranean basin, addressing both the open sea and the coastal zone,” he said. 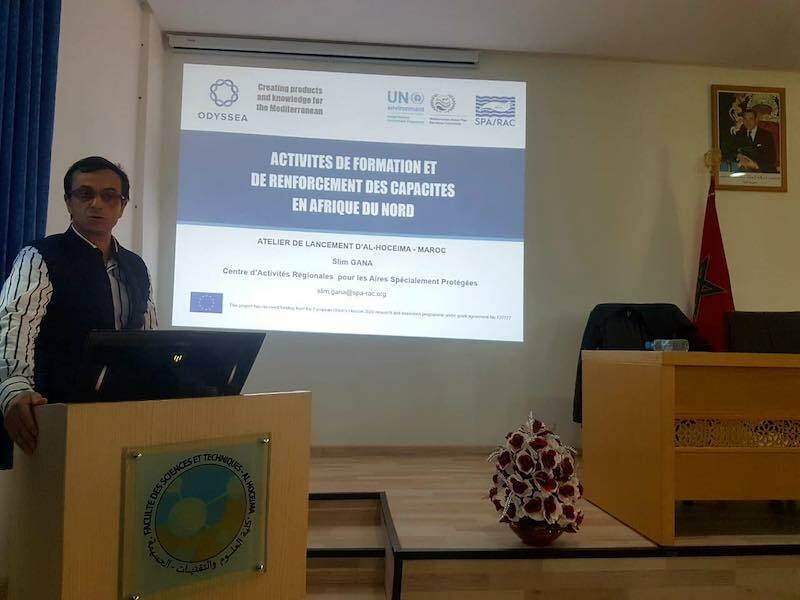 Nibani noted that Al Hoceima National Park – covering 19,600 hectares of sea in addition to 28,400 hectares on land – is one of the Mediterranean’s most varied marine habitats, that encompasses in many ways the challenges that confront the Mediterranean ecosystem. Al Hoceima is home to many rare species under threat of extinction according to the IUCN Red List. It also included the Mediterranean’s largest population of ospreys, a rare red coral reserve, three kinds of dolphins, 69 bird species, as well as a significant population of rays and sea turtles. Al Hoceima had in addition one of the few remaining Mediterranean monk seal colonies, before the seals disappeared from the park in 2003. Al Hoceima is one of nine ODYSSEA observatory locations, the others being the Arzew Gulf (Algeria), Gulf of Gabes (Tunisia), Gulf of Gökova (Turkey), the entire coast of Israel, the Nile influence zone (Egypt), the North Adriatic Sea (Italy), the Thracian Sea (Greece) and Valencia coastline (Spain), Sylaios noted. Nibani sketched out the region’s history and some of the obstacles being faced by both the marine environment and the local fishing industry, which is one of the primary sources of income for at-risk local populations. “Constructing a true local management system based on the respect for bio-cultural knowledge [within local communities] is essential in addressing global changes. However, these socio-ecological systems in situ are often not respected and ignored at the national and international level,” he said. Among the ODYSSEA Al Hoceima observatory partners who participated in the launch, Slim Gana of the UNEP Specially Protected Areas Regional Activity Centre (UNEP/MAP-SPA/RAC) summarized capacity-building activities carried out by the ODYSSEA project in North Africa, with a focus on the recent participation of students from the region in the 1st ODYSSEA Summer School on operational oceanography. Similarly, Prof. Hinde Cherkaoui-Dekkaki of the Abdelmalek Essaadi University and the FTSH explained how the Master of Technical Sciences (MST) programme in coastal engineering, environmental management and sustainable development will take an active part in the ODYSSEA observatory for the mutual benefit of students and the ODYSSEA project. Within the context of the ODYSSEA project, students will receive training related to coastal management issues, the function and dynamics of the coastal zone, governance tools for coastal protection and management. They will also able to improve their evaluation of the impact of human activity on the coastal environment, protection and management of coastal heritage assets, environmental planning vis-à-vis coastal areas, management of coastal resources, production and analysis of information on coastal systems. 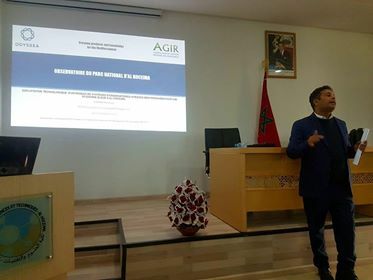 The students will also be able to manage and diffuse such data, expertise and follow-up of environmental projects, mediation and leading in the context of integrated coastal zone management (ICZM), communication related to the coastal environment, and marine economics.